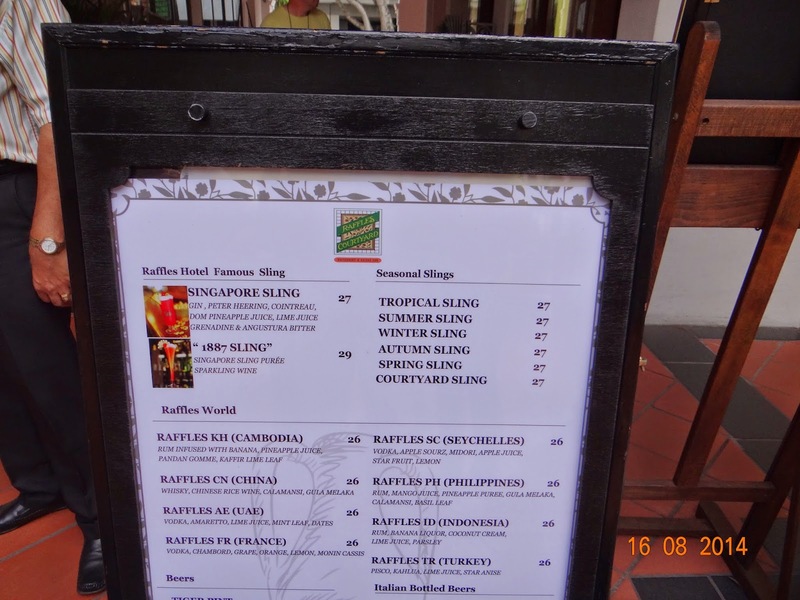 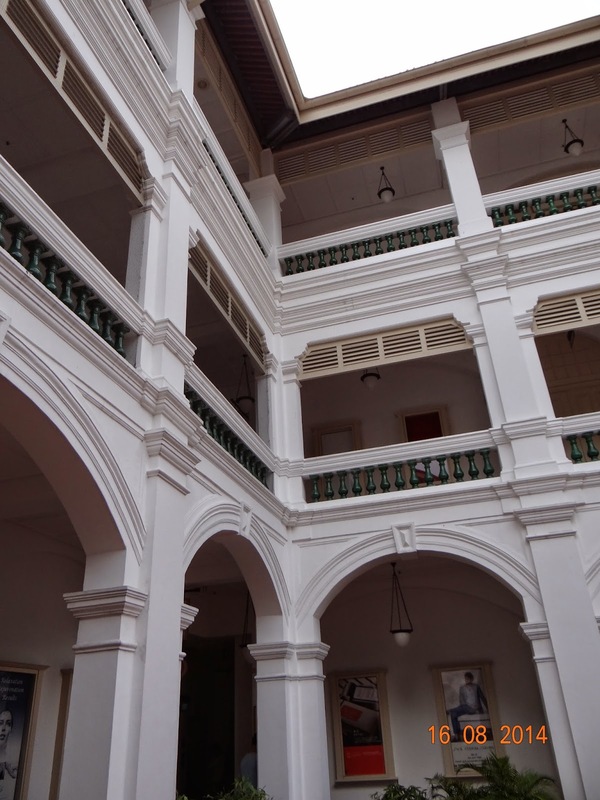 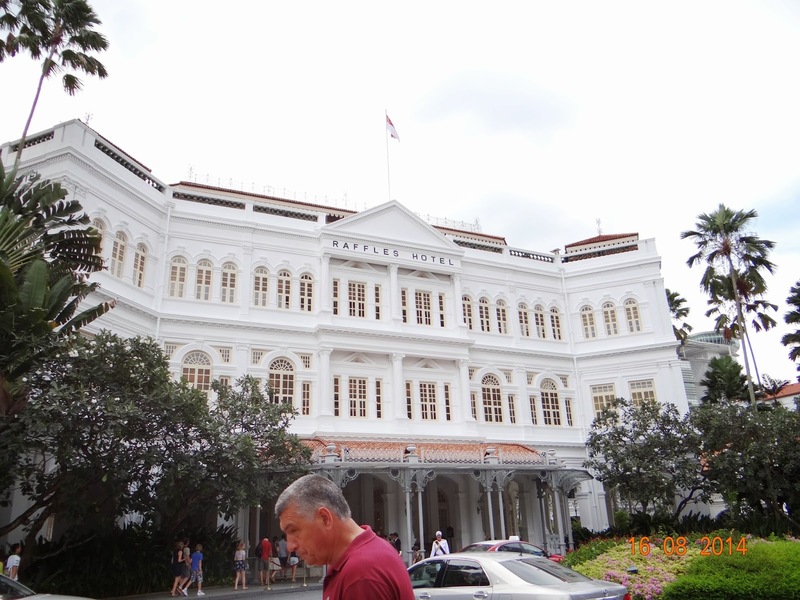 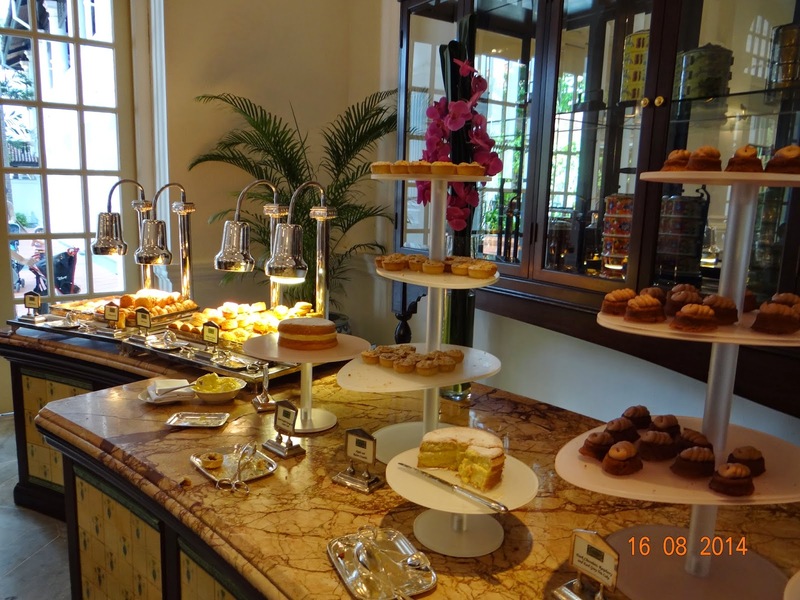 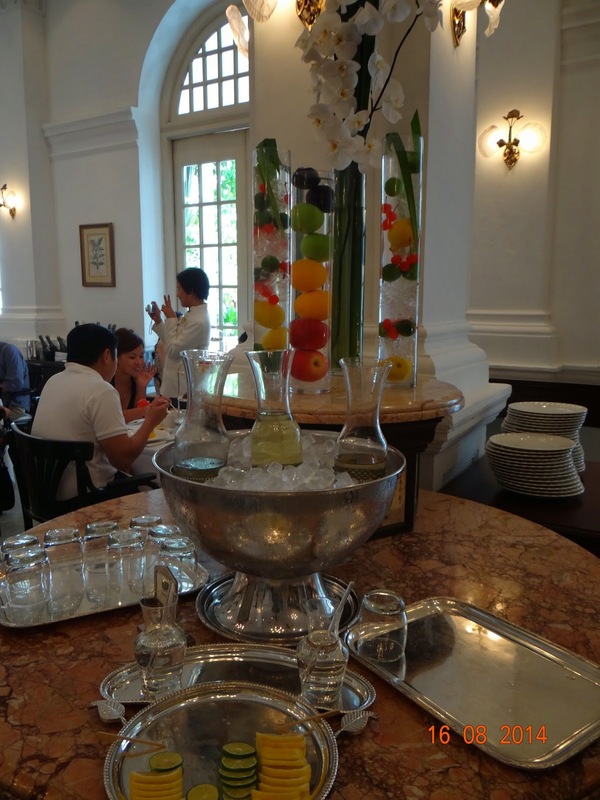 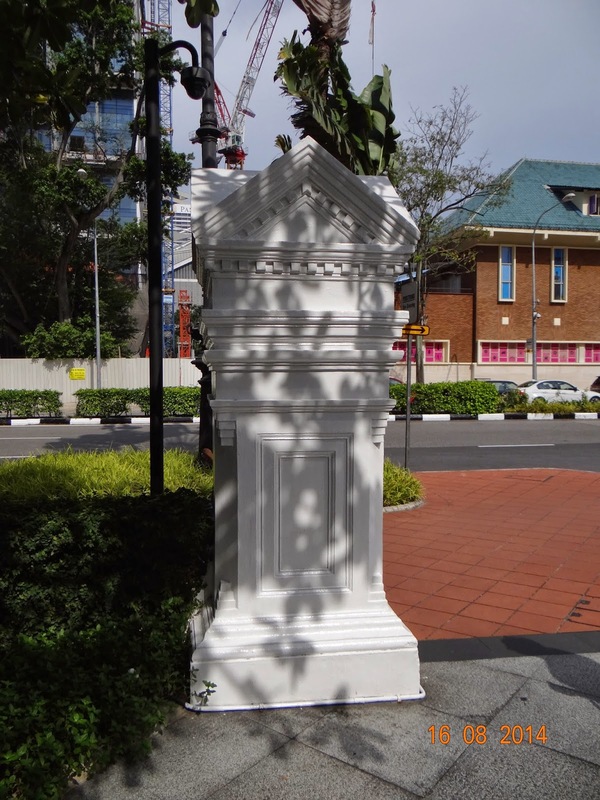 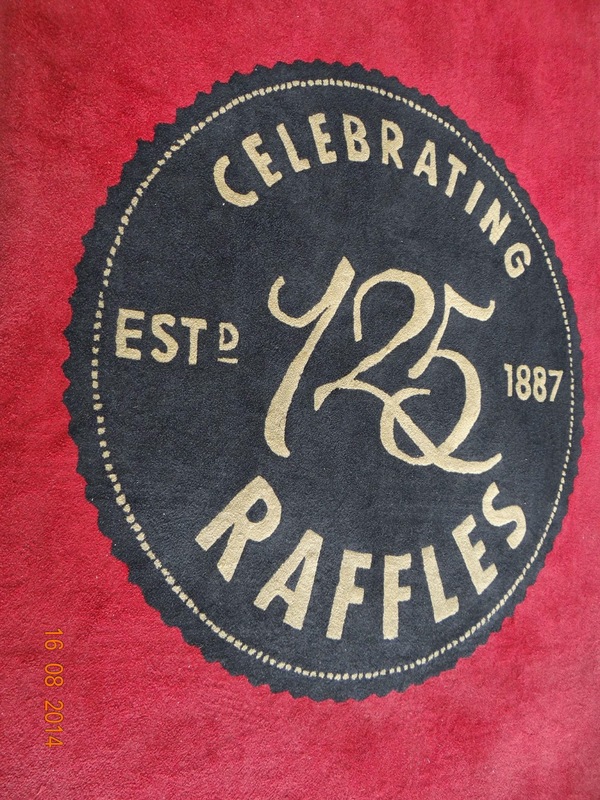 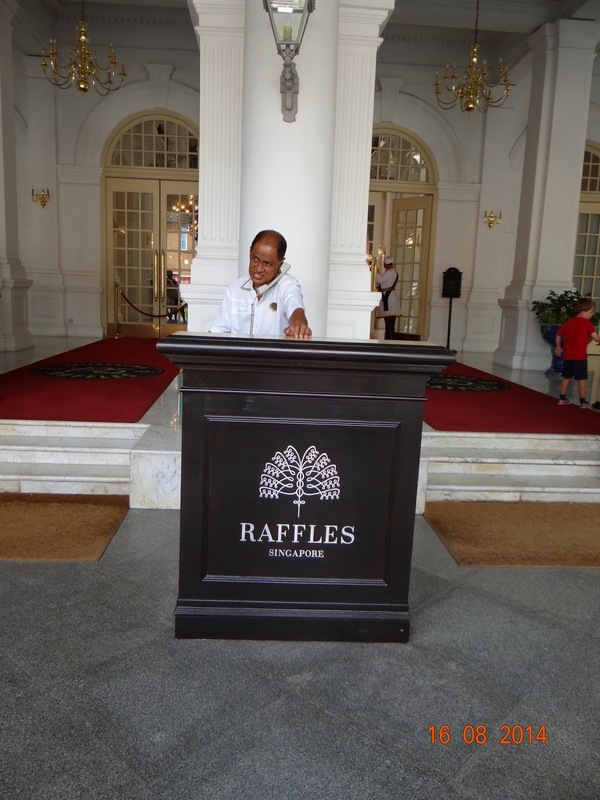 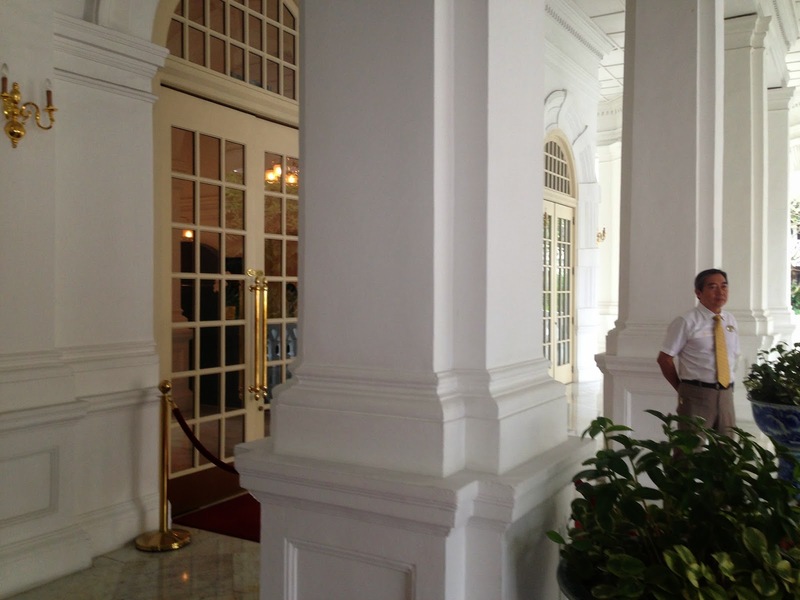 Raffles Hotel was one of our pitstops on the Raffles Trail. 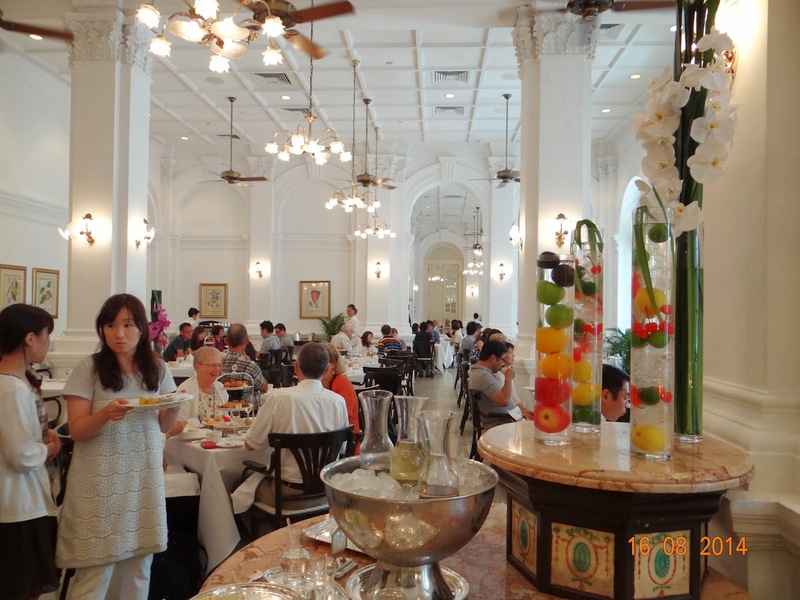 The hotel is as iconic as the Taj Mahal Hotel in Mumbai, a must-see on a trip to Singapore. 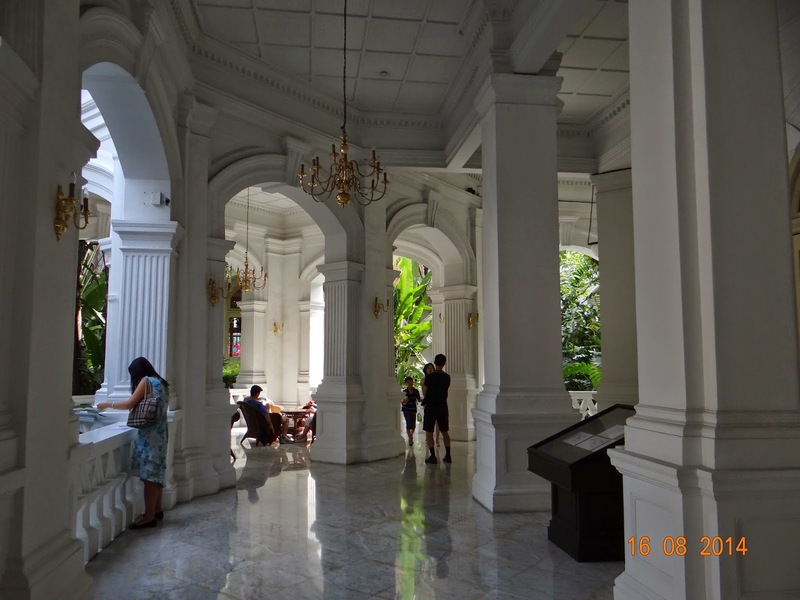 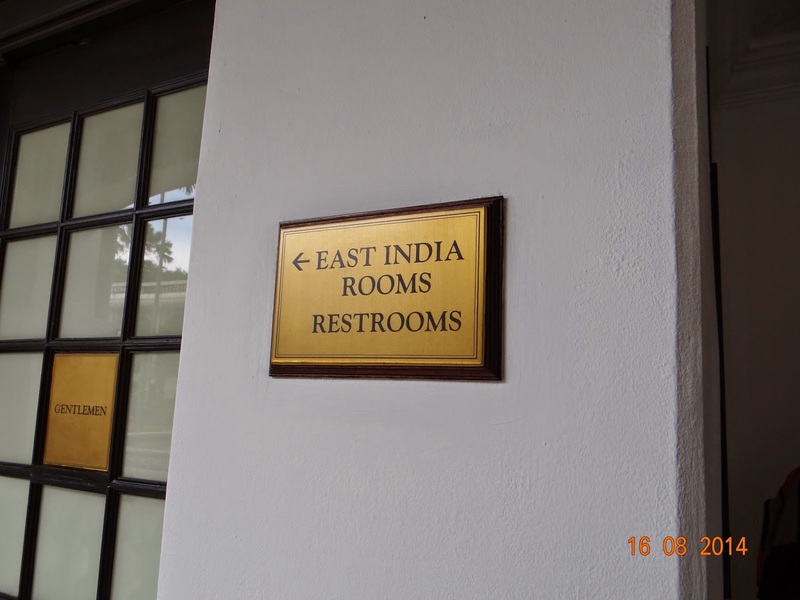 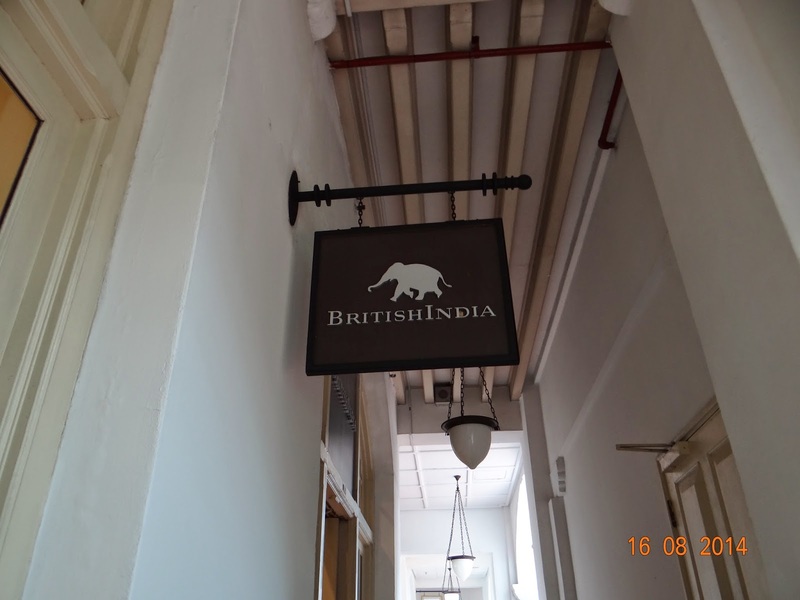 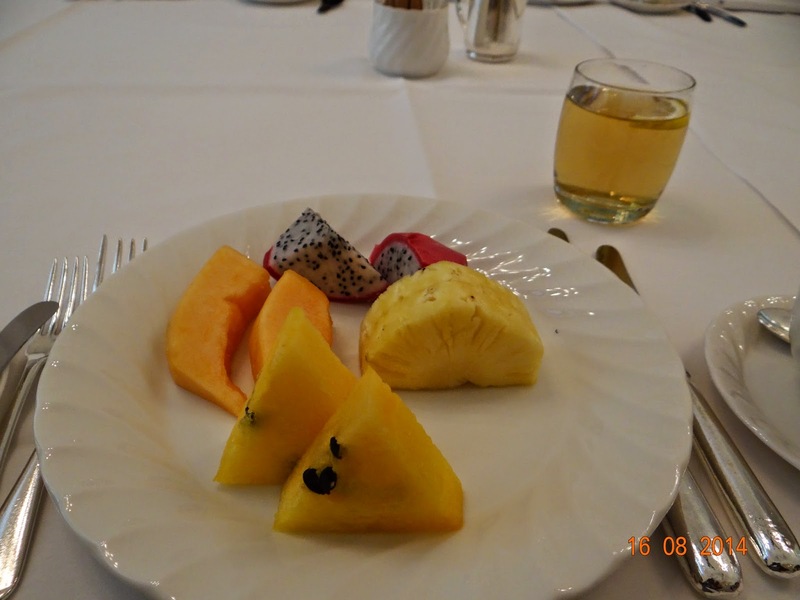 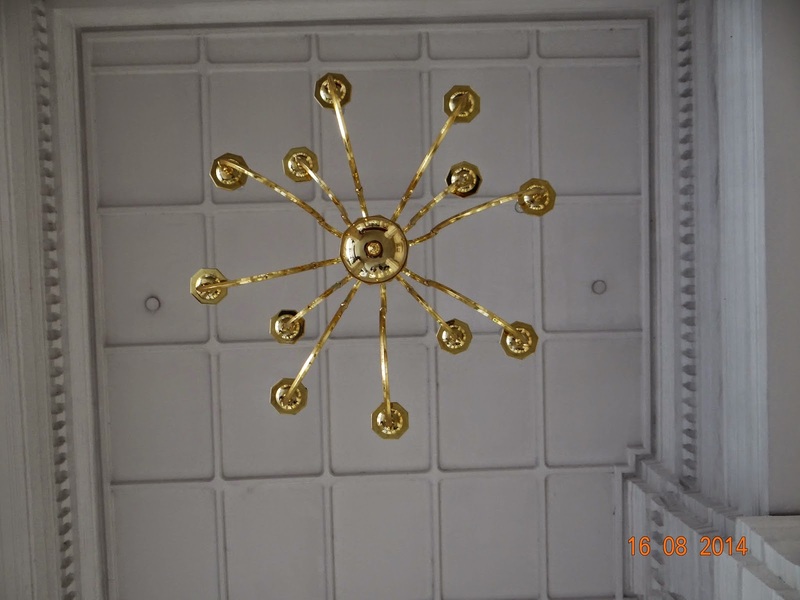 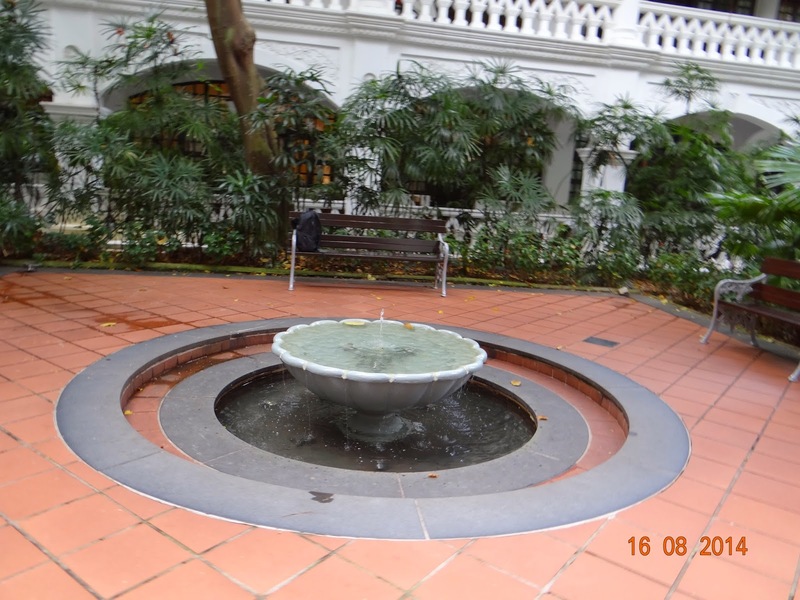 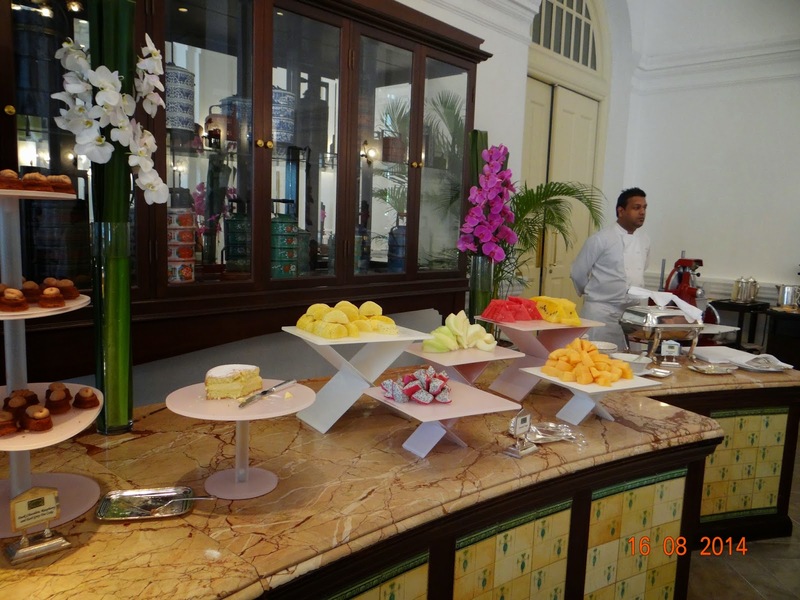 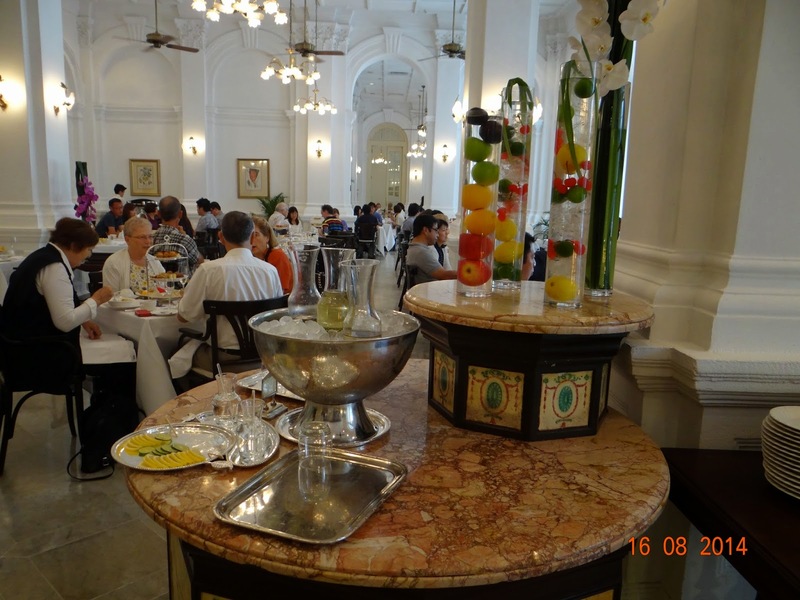 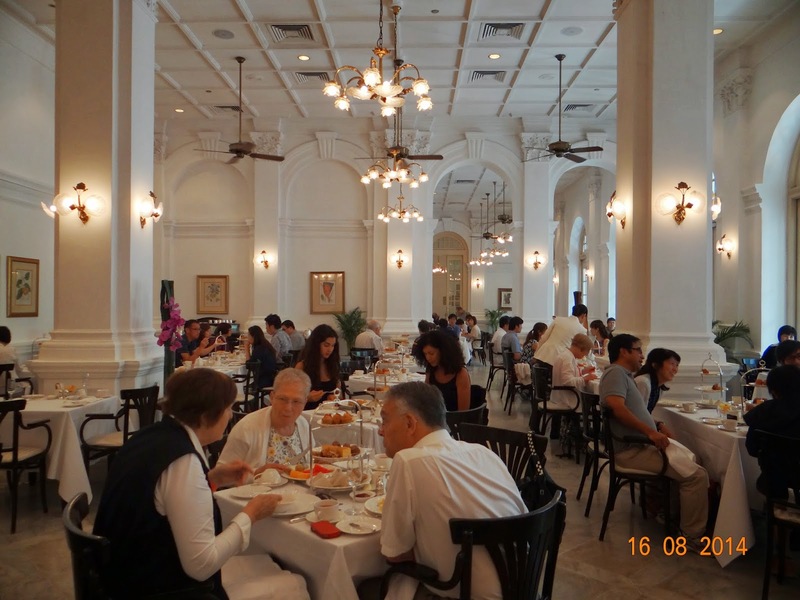 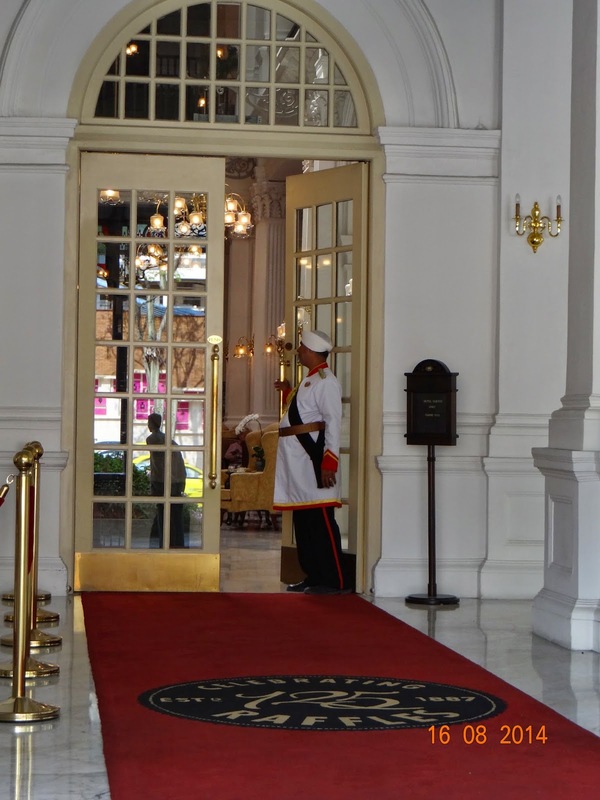 While the architecture of Raffles is classic colonial, I was indeed happier to see that the Raffles architecture paled in comparison our Taj Mahal Hotel, back home in Mumbai. 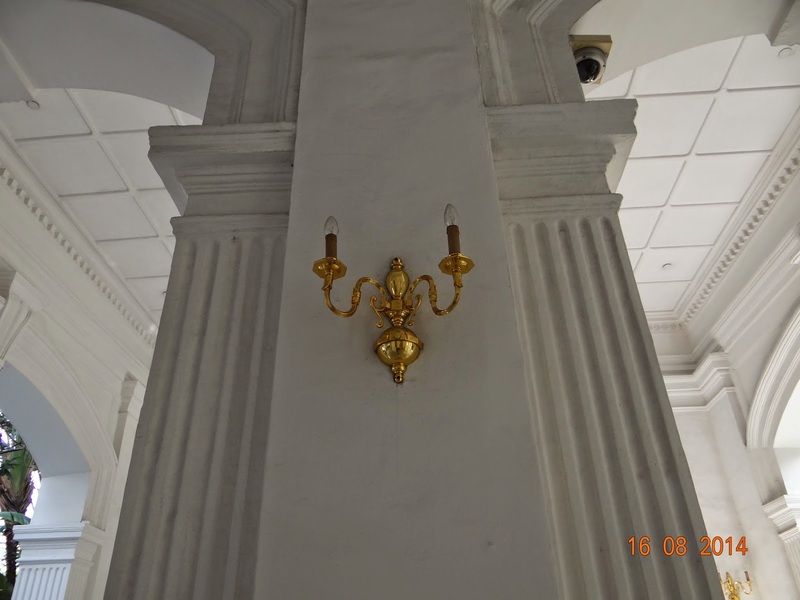 The hotel was established by two Armenian brothers —Martin and Tigran Sarkies—in 1887. 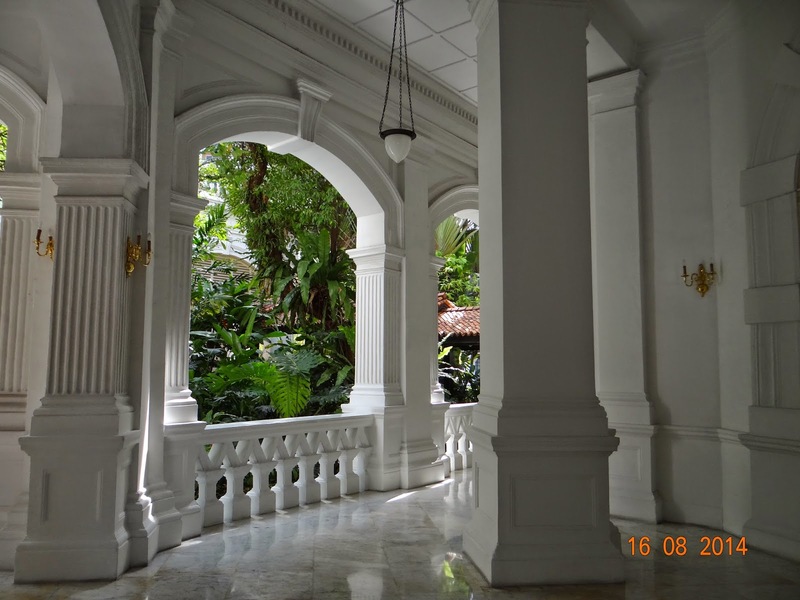 The Sarkies leased bungalows here and land from two owners - an Arab trader and philanthropist Syed Mohamed Alsagoff and a Chinese entrepreneur, Seah Liang Siah. 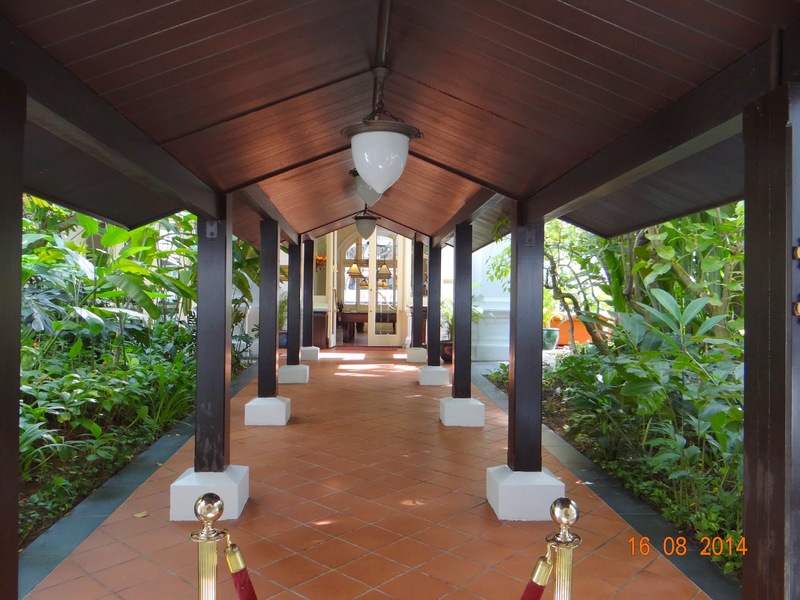 The bungalows were then modernized and converted into a hotel. 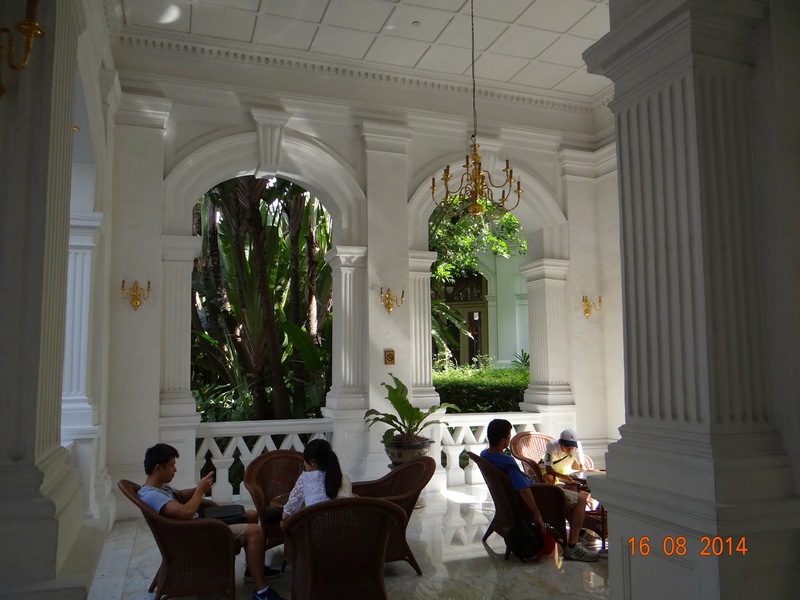 At that time, the hotel was right at the seaside, but today after years of reclamation, the hotel is nearly 500 metres away from the shore. 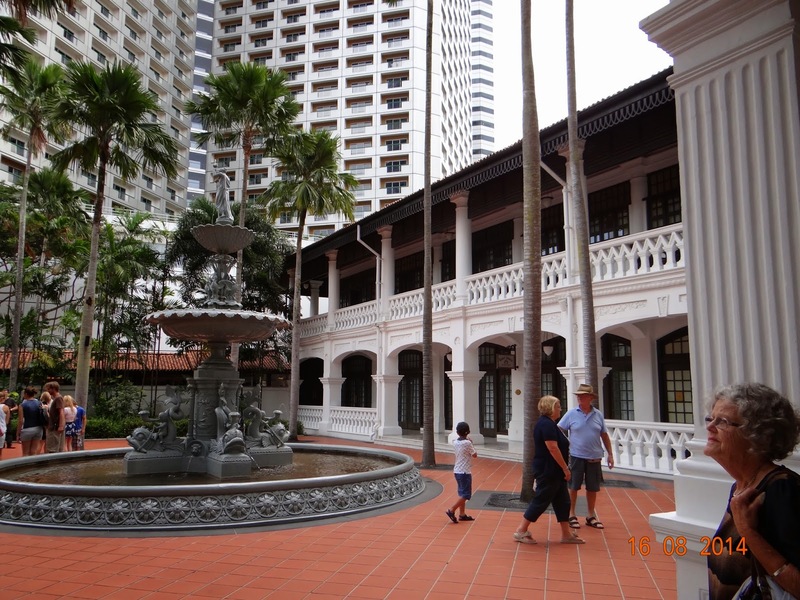 In later years Martin and Tigran were joined by younger brothers Aviet and Arshak and kinsman Martyrose Arathoon. 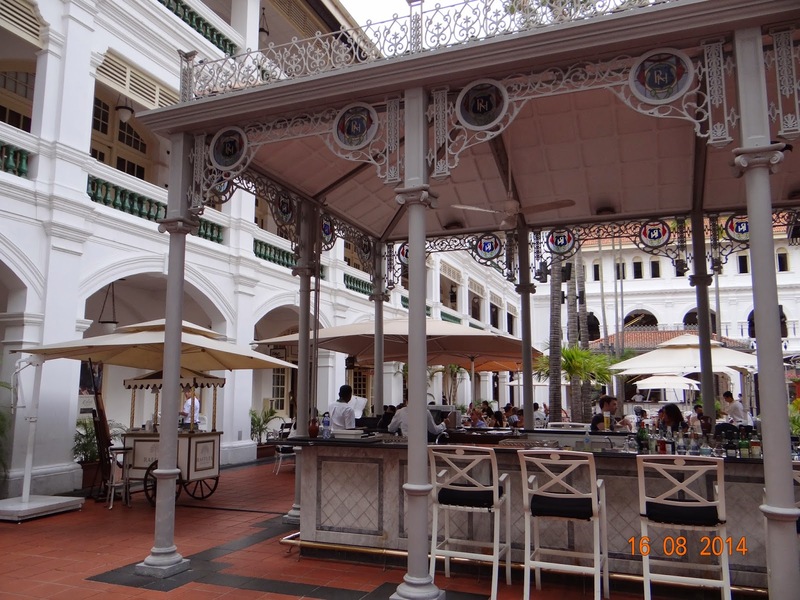 The main building of the hotel was designed by the architect Regent Alfred John Bidwell and was completed in 1899. 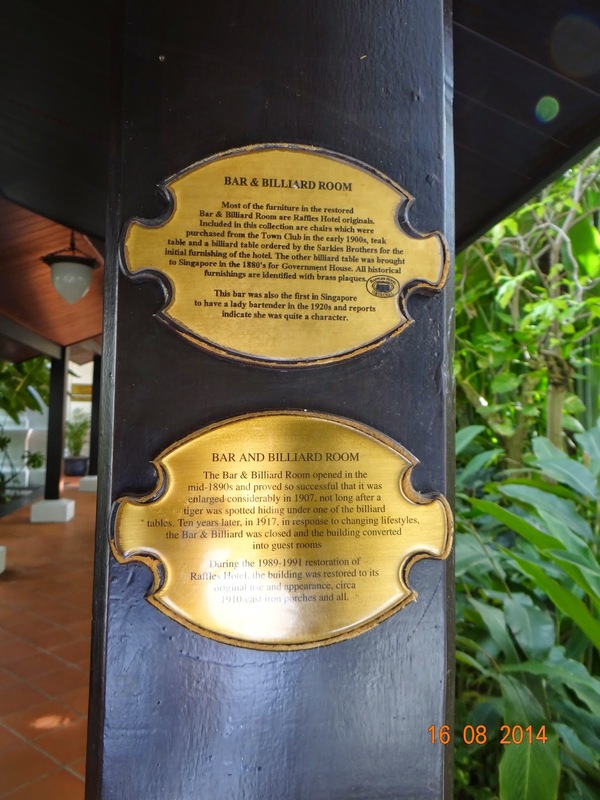 The hotel continued to expand over the years with the addition of wings, a verandah, a ballroom, a bar and a billiards room, and further buildings and rooms. 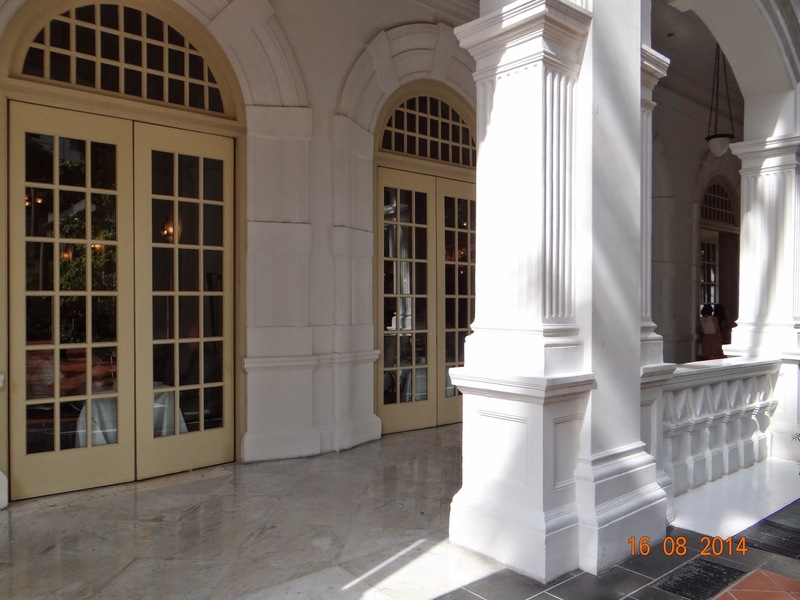 The hotel has had its share of ups and downs - the Great Depression of the 1930s hit it hard and it went nearly bankrupt. 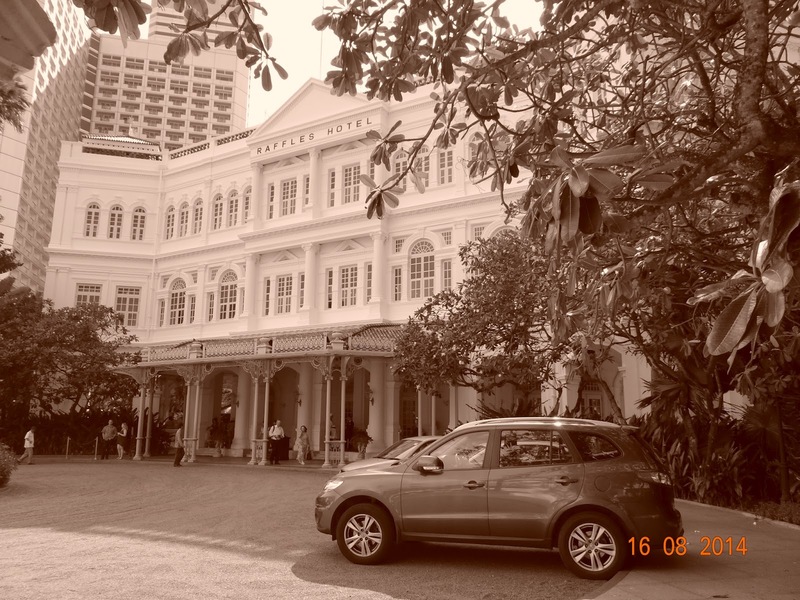 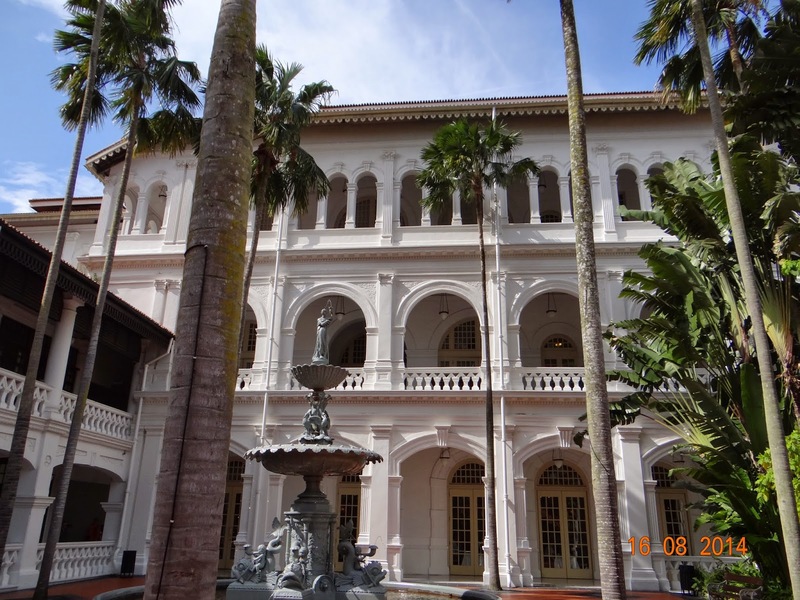 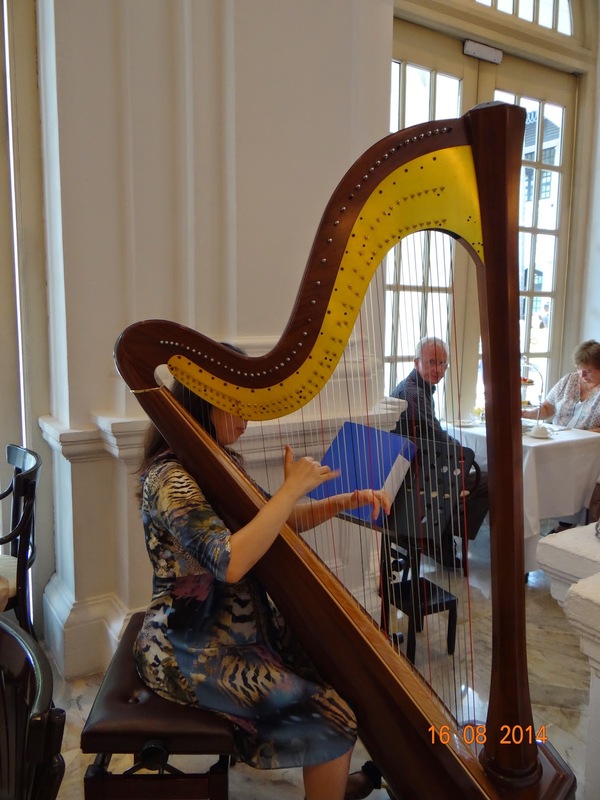 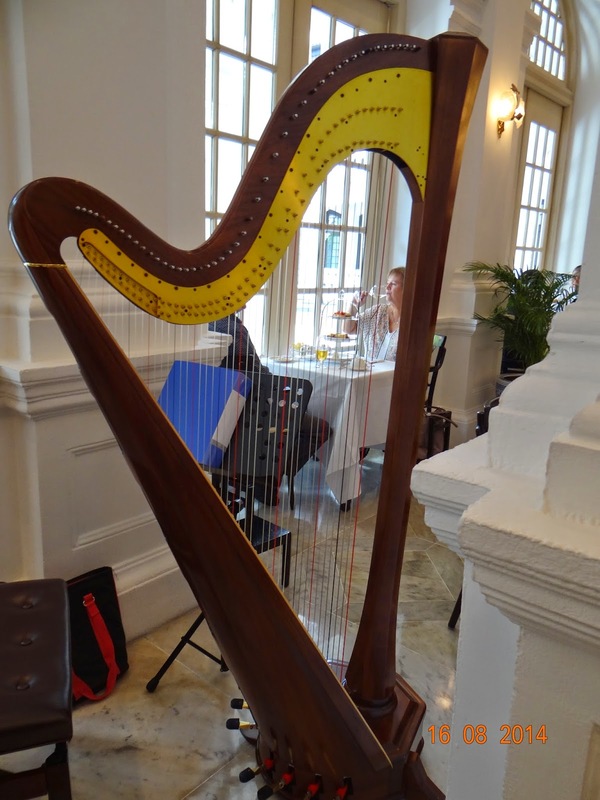 Then during the Japanese occupation of Singapore, during the Second World War, when the Japanese soldiers trooped in on 15 February 1942, Japanese soldiers encountered the guests in Raffles Hotel dancing the waltz. 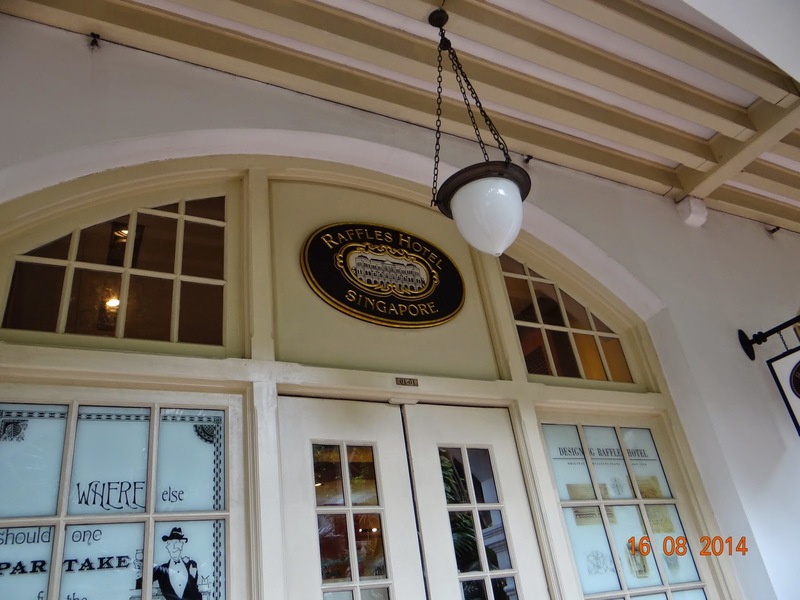 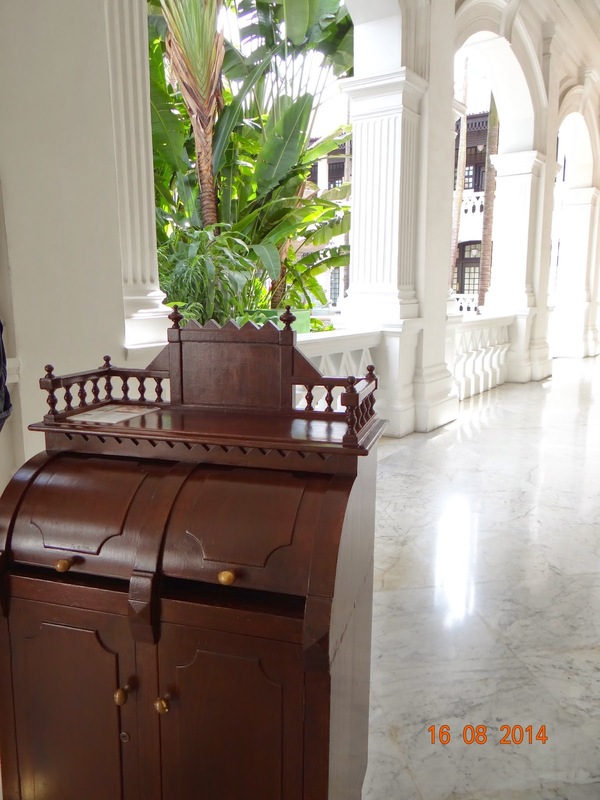 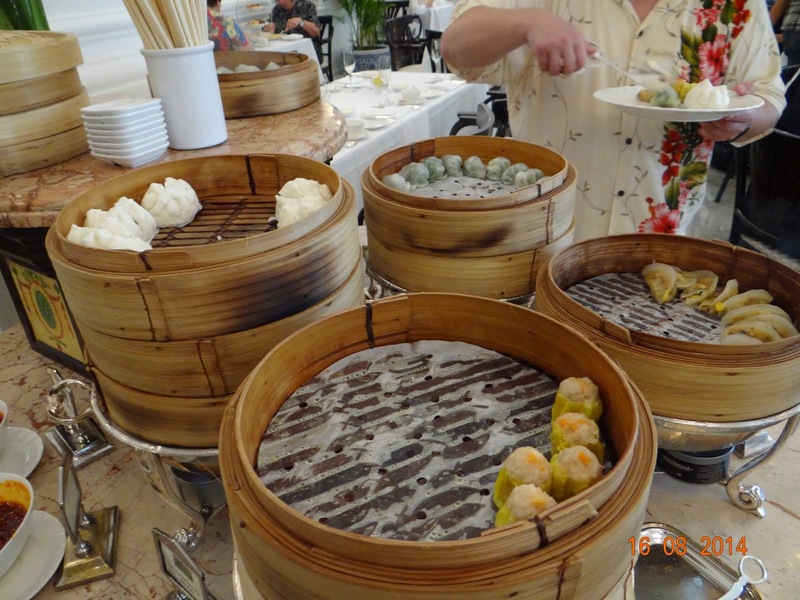 During World War II, the Japanese renamed the Raffles Hotel as Syonan Ryokan (昭南旅館 - "Light of the South"). 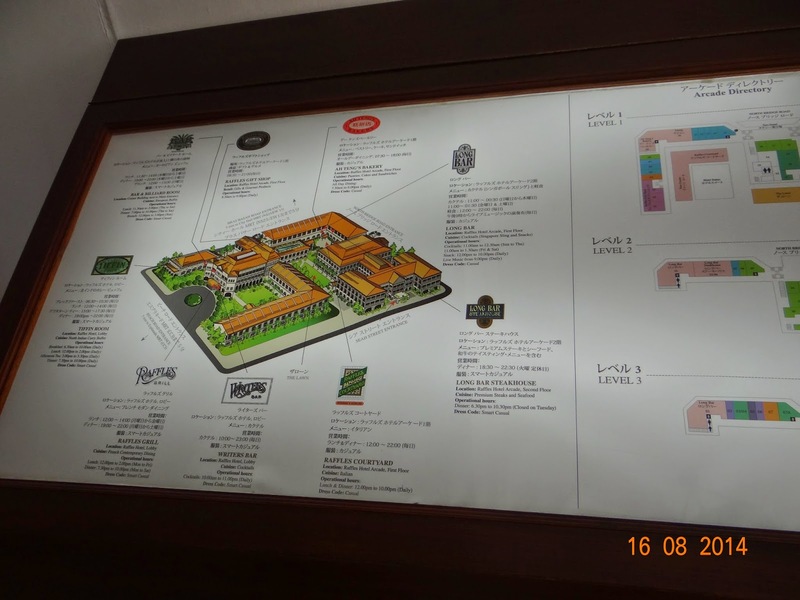 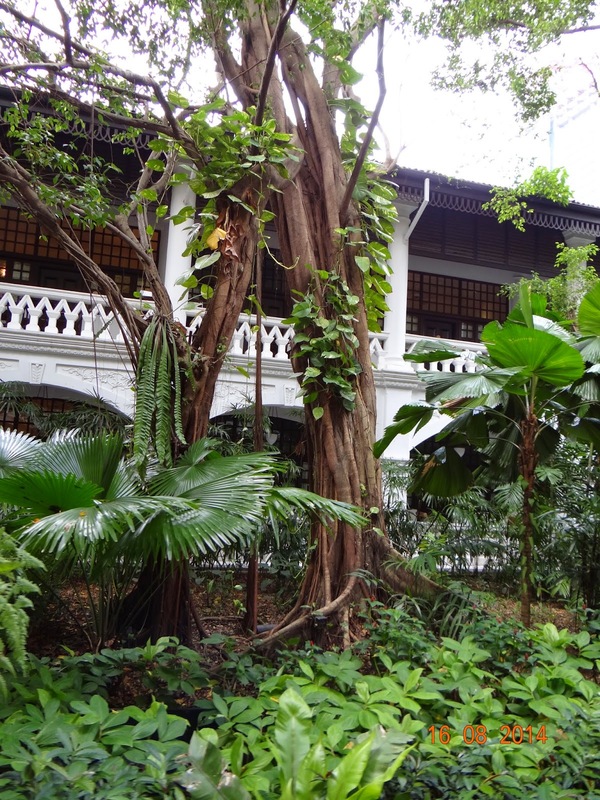 Syonan was the Japanese name for occupied Singapore, and ryokan, the name for a traditional Japanese inn. 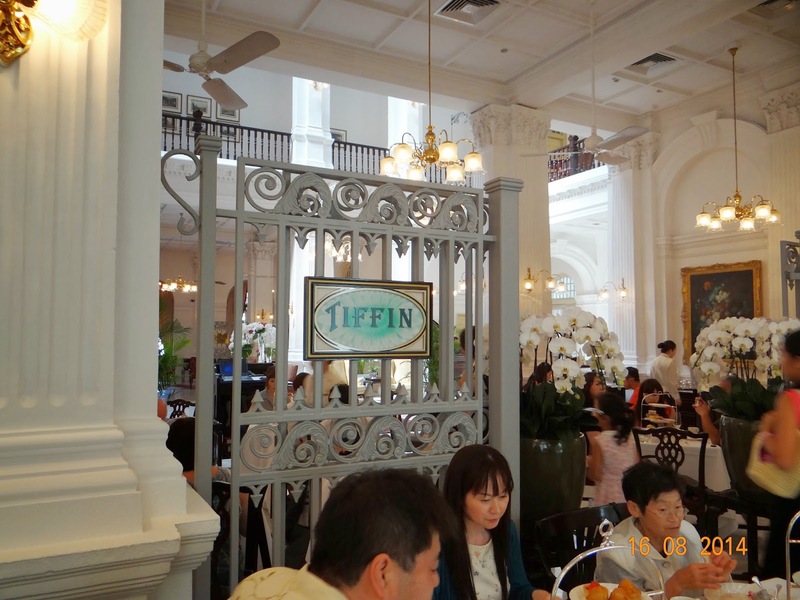 Obviously since we were headed to the Tiffin Room, which is on the left of the lobby, we couldn't access its famed lobby... Maybe someday, I will afford a suite here. 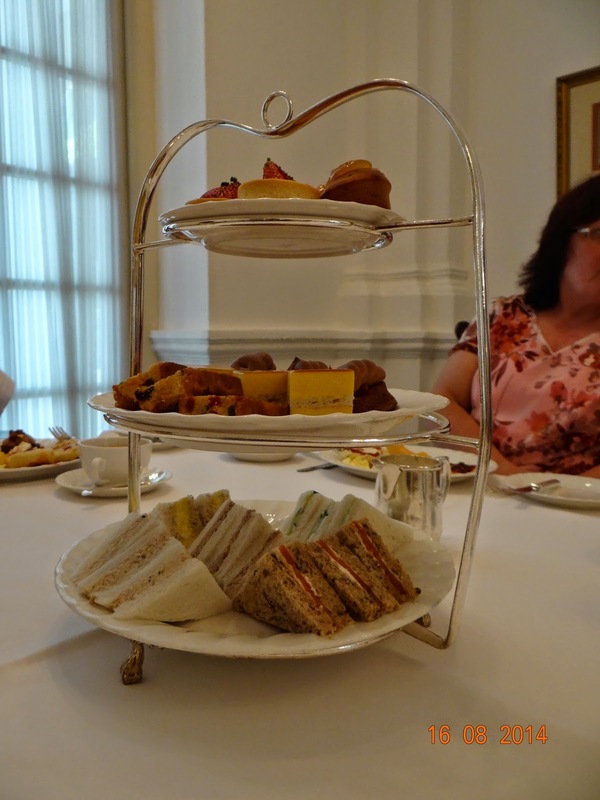 The scones were warm and crumbly - lovely! 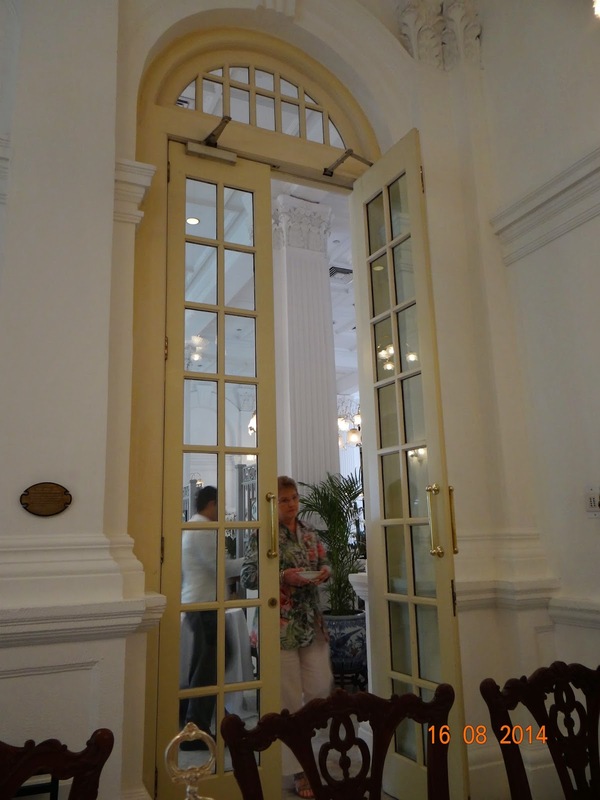 Previously the Long Bar was located next to lobby but was later relocated to the Arcade to ensure public access.